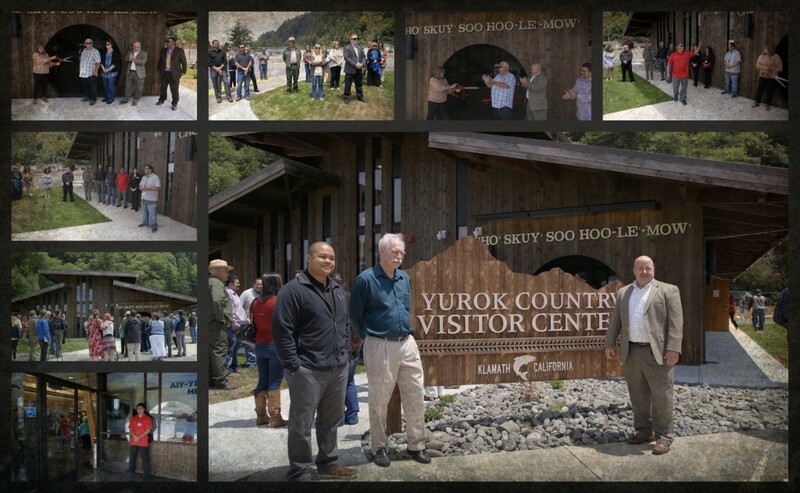 After months of hard work and anticipation, the brand new 3,500 square‐foot Yurok Country Visitor Center & Amphitheater officially opened its doors to the public Thursday, June 18, 2015 with a special ribbon cutting ceremony. The new facility is part of a multi‐million dollar economic development initiative to improve Downtown Klamath. In addition to revitalizing the area, this new facility will offer tourists and locals a place to learn about Yurok history while giving Klamath an economic boost. The new visitor’s center will highlight geographical attractions in the Klamath area and the Redwood National & State Parks. Yurok Tribe said its new visitor’s center is one of the tribe’s latest job-creating ventures; supporting tribal artisans by offering one of the redwood region’s largest retail displays of local Native-made jewelry and crafts. It will also promote area businesses and educate visitors about the history of the tribe. “We hope by investing in the town’s infrastructure and facilities we can help existing local businesses and attract new ones to our area. This will create long‐term prosperity for all,” O’Rourke Sr. continued. The center along with a reconstructed Yurok village was paid for by federal funding from the National Scenic Byways Program. 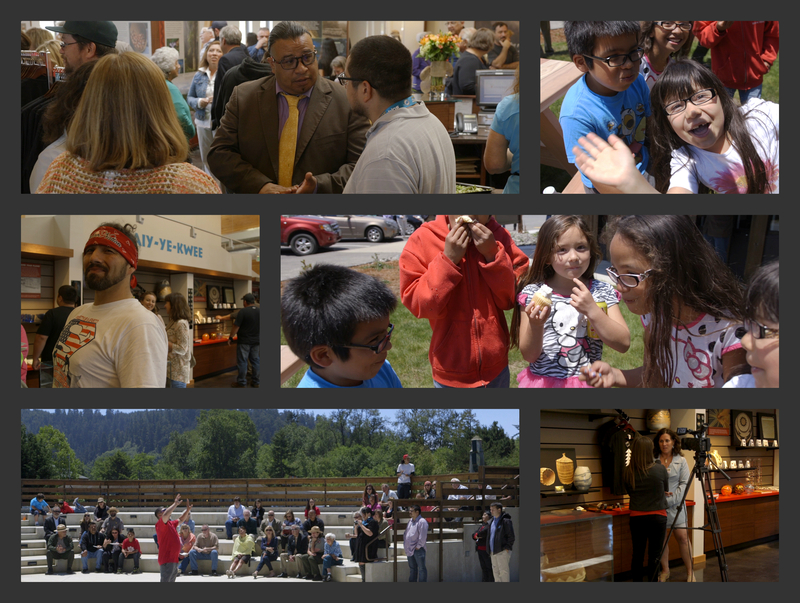 Click here to see more photos from the June 18th opening celebration. The visitors center is open daily from 10:00 a.m. – 5:30 p.m.